Misr International University conducted visits to three Ismailia schools, as part of a continuing series of charity events organized to support MIU’s role in helping society. MIU has researched schools that need donations and help. Accordingly, visits were organized to “Al Nour”, “Al Amal”, and “Al Tarbeya Al Fekreya” schools for children that need exceptional treatment. 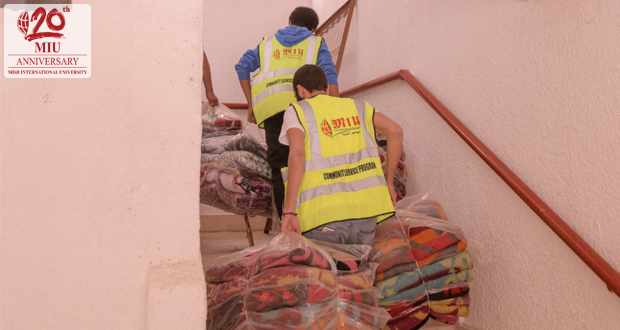 Around 40 MIU student volunteers visited the schools under the supervision of MIU’s P.R. office. 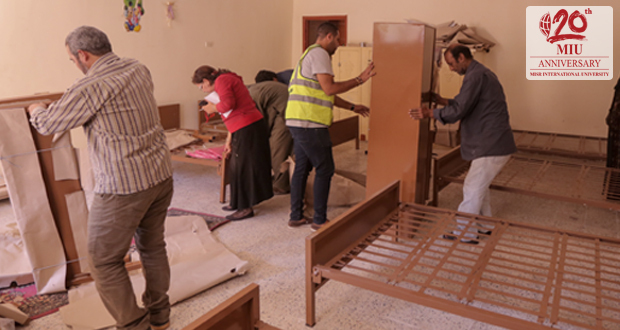 During the visits, the volunteers shared gifts and gave out donations including money, essential equipment, and new furniture. Misr International University will always continue to take any opportunity to help society and to help develop the community.